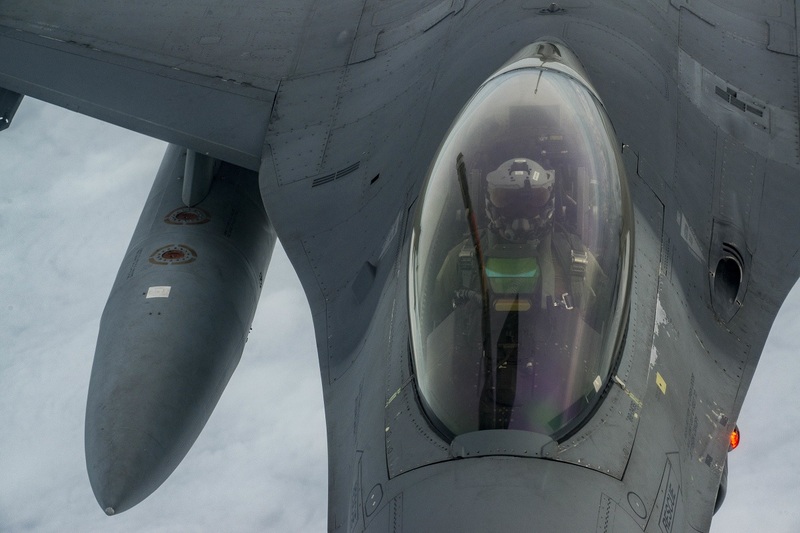 Delivering sorties takes more effort than throwing on a flight suit and taking off, and those who deal with flights daily understand the importance of each step for mission execution. Before heading to the jet, pilots gear up in the flight equipment room where they are greeted aircrew flight equipment (AFE) technicians who prepared everything they need for the day ahead. 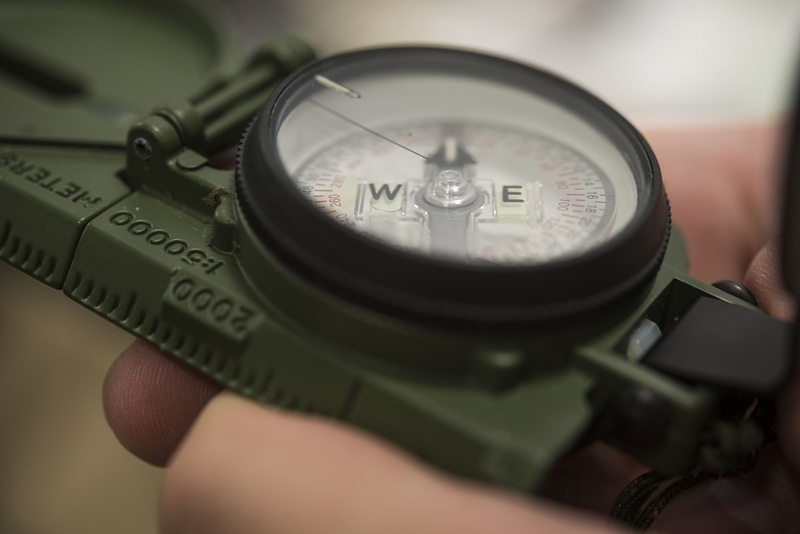 U.S. Air Force Airman 1st Class Dominic Cicci, a 35th Operations Support Squadron aircrew flight equipment technician, verifies a compass’s magnetic pull is pointing north at Misawa Air Base, Japan, Feb. 8, 2017. Along with water, flares and fire starters, a pilot’s survival vest contains different components to sustain them if they become stranded and need to be rescued. From the outside looking in, it can seem only a few pieces of equipment are present, but AFE technicians know there is more than what meets the eye. The technicians hand the pilots a life preserver survival vest, parachute harness, a joint mounted cueing system helmet (JHMCS), display unit, MBU 20/P oxygen mask and an anti-G-LOC suit, all which are inspected for serviceability before and after flights. Staff Sgt. 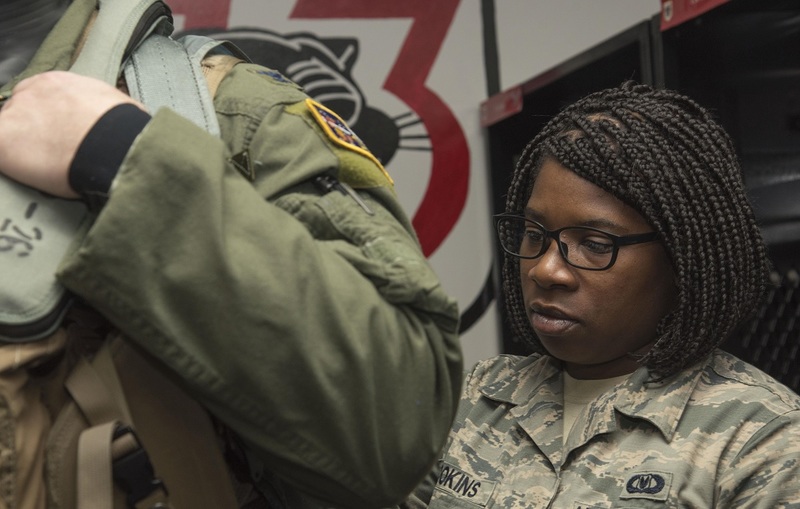 Faitha Brookins, 35th Operations Support Squadron (OSS) AFE NCO (non-commissioned officer) in charge, said F-16 Fighting Falcon fighter pilot essentials, like the helmet system, must be ready at all times so they can see and lock on targets during air-to-air combat. U.S. Air Force Airman 1st Class Dominic Cicci, right, and Senior Airman Coty Buckley, left, both 35th Operations Support Squadron aircrew flight equipment technicians, perform pre-flight and post-flight inspections at Misawa Air Base, Japan, Feb. 8, 2017. The AFE shop oversees pilots’ item serviceablility and restocks their uniform with supplies like water and food if needed. Adding to the list of necessary pieces of flight equipment, the egress system, which is the ejection seat and parachuting gear in the cockpit of the aircraft, undergoes a thorough inspection process to ensure it does not fail when deployed. The system inspection can take anywhere from one to two days, consisting of unpacking each section, checking the F-16 seating system, providing repairs if needed and putting it back together. U.S. Air Force Staff Sgt. 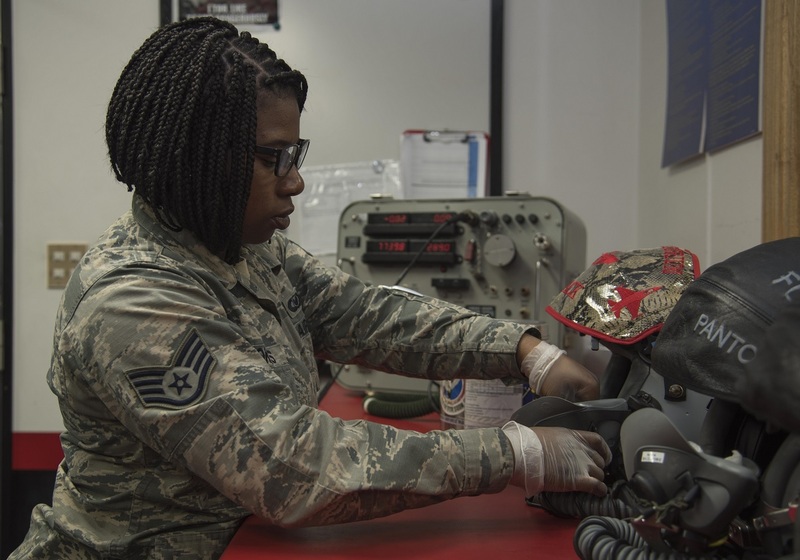 Faitha Brookins, the 35th Operations Support Squadron aircrew flight equipment NCO in charge, cleans a joint mounted cueing system helmet at Misawa Air Base, Japan, Feb. 8, 2017. Every day the AFE shop maintains the cleanliness and functionality of the pilot’s equipment while performing thorough routine checks during their shift. Whether the system will be used in the year or not, this inspection is done at least annually by a qualified, high-level chute rigger. Aside from the parachute system, there are certain daily checks done for all flying accessories used. U.S. Air Force Maj. Richard Smeeding, the 35th Fighter Wing Pacific Air Force F-16 Demonstration Team pilot, puts on his boot at Misawa Air Base, Japan, Feb. 8, 2017. 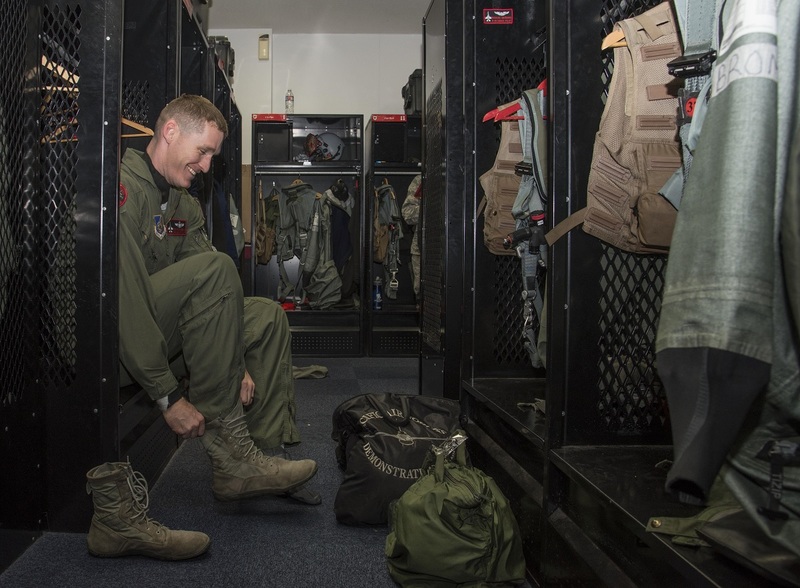 The aircrew flight equipment personnel fits each pilot’s G-suit to their size and ensures all equipment is serviceable before their departure. Even unused items are checked periodically allowing a greater coverage of safety for the pilots. Brookins explained during this time they disassemble every piece for inspection. By doing so they can confirm whether a piece of equipment has a chance of malfunctioning and needs to be replaced. U.S. Air Force Col. Travis Rex, the 35th Fighter Wing vice commander, left, receives a pre-flight inspection by Staff Sgt. Faitha Brookings, right, the 35th Operations Support Squadron aircrew flight equipment NCO in charge, at Misawa Air Base, Japan, Feb. 8, 2017. After donning flight equipment, AFE personnel jolt and tug their suits ensuring survival amenities are secured and no tears or holes formed in their uniform. 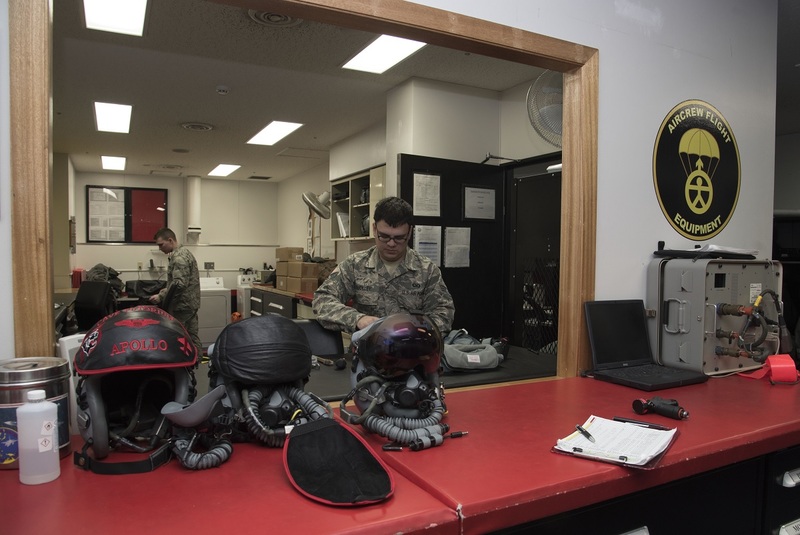 From takeoff to landing, pilots are always in the care of the 35th OSS aircrew flight equipment shop, as they equip them with everything they need for a safe flight. U.S. Air Force Capt. 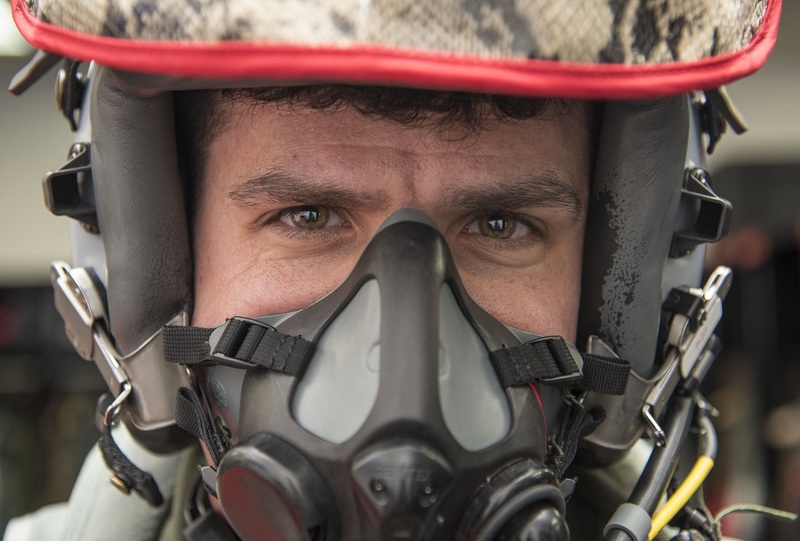 Jason Markzon, a 13th Fighter Squadron pilot, tests his MBU 20/P breathing mask at Misawa Air Base, Japan, Feb. 8, 2017. Before take-off, a preflight check is performed by aircrew flight equipments Airmen, ensuring all equipment functions properly. AFE doesnt handle anything with the ejection seat or the cockpit portion of the egress system on fighter jets. Thats a separate career field called Aircrew Egress Systems. The inspections done on the seat are not annual, its a 3 year full breakdown inspection, and the inspections are done by a qualified egress person, it has nothing to do with chute rigging. AFE components such as the survival kit and the recovery parachute are inspected annually, however they are removable components that are done in a shop often off the flightline. In fact at most locations with fighter jets, AFE doesnt even have access to the flightline (exeptions for AFE assigned to Fighter Squadrons) or the training required to even get on an aircraft to work. All this being said, please fact check before you write an article excluding other critical career fields that enable AFE to do what they do.